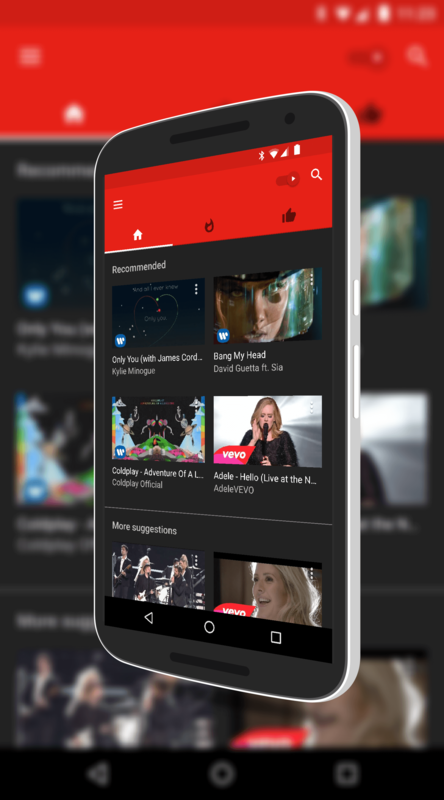 Today YouTube has launched the all new YouTube Music app. This music centric app follows in the footsteps of other content specific apps like YouTube Kids and YouTube Gaming by providing music audio and video content in an clean and simple app that allows offline listening. Tied in with the recently launched YouTube Red service, YouTube Music allows subscribers to view music videos, listen to music online or offline and has a powerful search function to find your favorite artist. Further, you can setup your own stations (playlists) for the genre or artist you like most. $9.99 per month and if you are already a Google Play Music Unlimited subscriber, you already have a free account with Red. If you don’t want to subscribe, no problem. You will have to watch & listen online only and you will hear & see adverts in your stream. That said, when you download the YouTube Music app and sign in with your Google account, you will automatically be signed up for a 14 day trial so make sure if you don’t want to be charged the $9.99 that you cancel prior to the end of that 14 days. As for what YouTube Music has to offer, it is pretty extensive. Here is an excerpt from the Release Notes from YouTube on the app. What makes all of this interesting is how YouTube Red, YouTube Music and Google Play Music Unlimited tie together. Essentially for one price you get all three services which give you offline playing of music you own or download to your devices while also providing music videos, concert footage and other visual content along with that audio. At first blush it may seem that YouTube Music and Google Play Music are competing with each other and I guess at a certain level it is true. However I think after playing with these a bit earlier this morning, they complement each other quite well. Time will tell of course and I may change my view after a few days but for now, I’m liking what I’m seeing. The new YouTube Music app is in the Google Play Store for Android devices and also launched for iOS today as well.